Sadly, you don’t hear engineers discussing art very often. I personally enjoy painting, sculpture and architecture very much. I did my humanities cognate in Art History – which really only means I took a few introductory courses in architecture and Egyptian archeology. One thing they love to teach in art history is precedent. Who’s work inspired whom. We tend to disregard the founding fathers of engineering, believing instead that we follow the irrefutable laws of nature. I think it would really help the profession if we knew more about the engineers that came before us. I wrote the article below after visiting a Picasso and Cézanne exhibition in Aix, a picturesque Southern French city. It was fascinating to learn how Picasso’s work was inspired by Cézanne. Picasso may never have become such a ground-breaking artist without first studying Cézanne’s portfolio. What successes are left unrealized by engineers who were unaware of the precedents that enable their modern practice? Many people choose to appreciate art simply at face value. However, knowing a little about the artist, their methods, and motivation can help the viewer more completely understand the meaning of the work. An exposition at the Musée Granet in Aix-en-Provence provided insight on two master painters: Cézanee and Picasso. By presenting works by both painters side-by-side, the exhibit described how they were linked stylistically, culturally, and geographically. On first glance, it might seem strange to find such connections between a French Impressionist and a Spanish Cubist. But even though they never met, Picasso described Cézanne as a soul mate and “artist father.” He carefully studied Cézanne’s work and collected many of his pieces. Eventually, Picasso purchased a chateau at the foot of Mons Saint Victoire, the object of Cézanne’s most famous works. 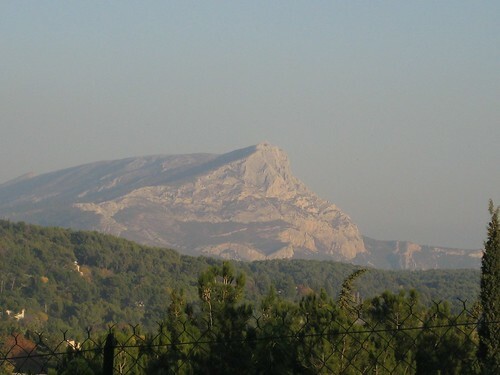 The photo below is taken from the very location that Cézanne is said to have painted his masterpieces of the mountain. Piscasso never dared to duplicate Cézanne’s paintings of Mt. 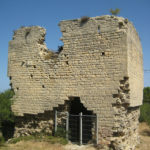 St. Victoire. In fact, he rarely painted landscapes. 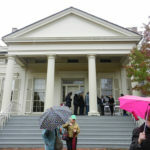 However, he felt a superstitious call to capture the image of a new home through his brush. 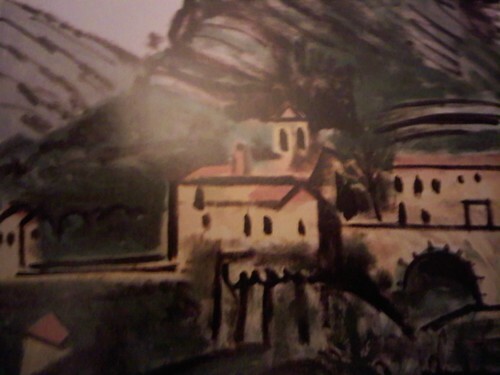 Picasso’s impression of Le Château de Vauvenargues is pictured above. Throughout his career, Picasso took Cézanne as inspiration. Early on he studied Cézanne’s methods and subjects. When some of these early works are placed side by side, it’s difficult to distinguish which artist painted which painting. 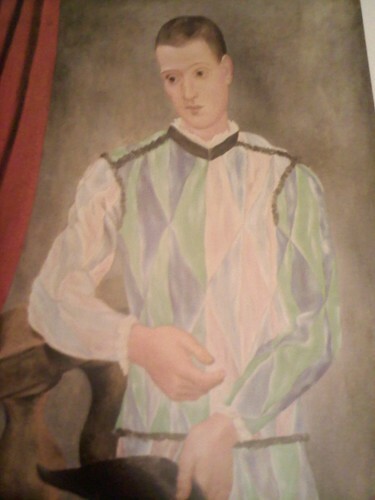 This is evident in a series of Harlequin paintings. The comedic dancers would have been well known by both men living near the Mediterranean. 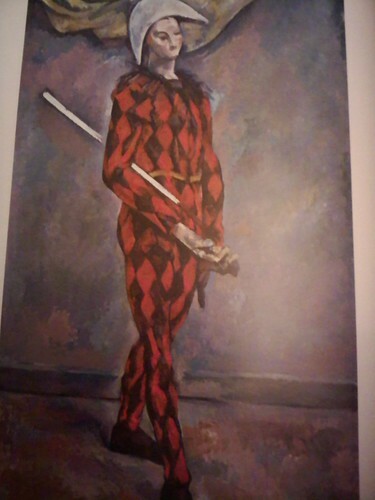 Note: Picasso’s harlequin is on the right. Picasso’s relationship with Cézanne’s work went well beyond imitation. He recognized that Cézanne was exploring new ways of representing depth in still art. 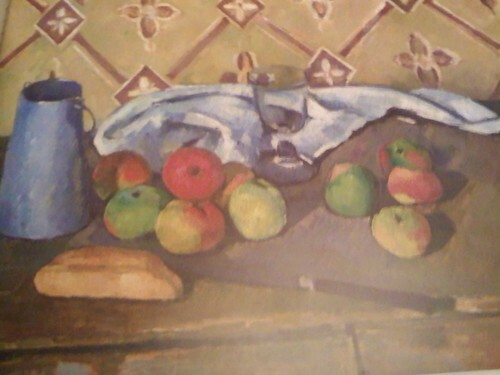 Later in his career, Cézanne retreated into his studio and began obsessively painting still life portraits of household items and table settings. In many of these paintings, he skews the surface of the table and arranges the objects such that there is a greater illusion of depth projected. In the painting below, it’s no accident that the knife overhangs the edge of the table. Picasso picked up on these subtleties and experimented with ways to exaggerate the perspective. In several of his own still life paintings, he reduces the scene to only the basic elements necessary to convey mass, space and depth. 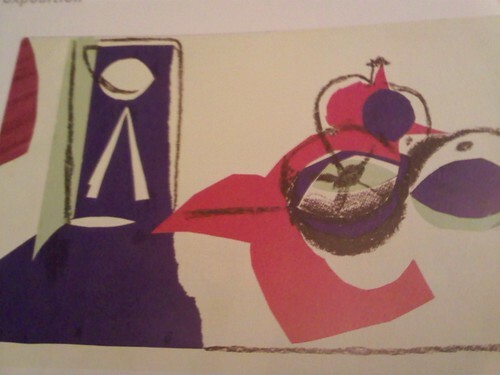 I was surprised at the number of paintings that Picasso did in homage to Cézanne. Even some of his well known works have subtle features borrowed from Cézanne. 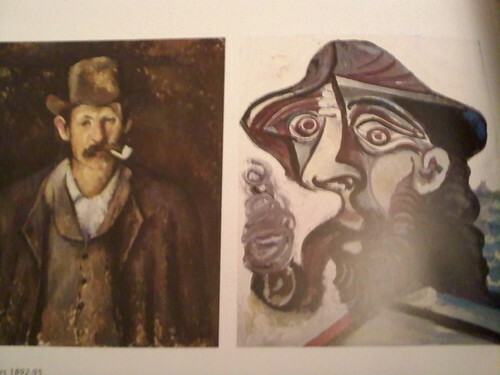 In the images below, you might think it was just coincidence that both men wear hats and smoke a pipe. However, the artist himself credits Cézanne’s “Man with Pipe” as inspiration. Picasso, though, is likely to have read something deeper into the original painting. His interpretation seeks to duplicate the essence of the portrait, if not the brush strokes. Now that’s a deep thought.